Cambridge and Leamington combined form one of two major population centres within Waipa District, the other is Te Awamutu. Here are some stats from the localcouncils.govt.nz website. The Waipa District Council website. 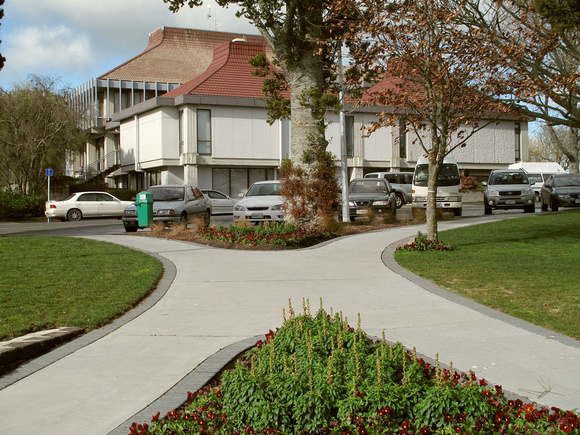 Waipa is one of the twelve district councils of the Waikato Regional Council or as it is more commonly known and branded Environment Waikato. Above Waipa District Council HQ building on Bank Street Te Awamutu viewed from Teesdale Street just beyond the cenotaph on Anzac Green to the left. Yes, that is a kauri in the centre of the photograph.